What’s question number one when you’re heading out to make your first tandem skydive? If you’re like pretty much everybody else, it’s “Is this going to kill me?” And guess what? Skydiving safety should be the primary issue on your mind. 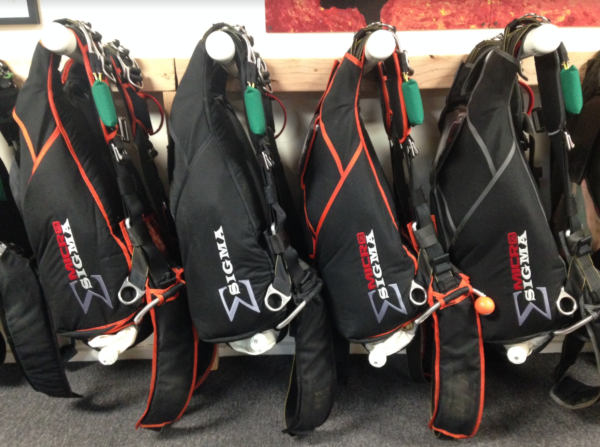 It’s a vital aspect of skydiving that’s functionally different from dropzone to dropzone, and the operation you trust with your mortal coil should take it seriously. So: Is skydiving safe? Let’s discuss. Can you die on a tandem skydive? Yes, you can. When you embark on a tandem skydive, you’re undertaking risk. True, there is risk of death involved with skydiving. However, know this: Your morning commute carries a much greater statistical risk of death than skydiving. Driving to work is just a less dramatic way to go. In waking up any given day, we accept the risk that we’re going to die that day. Some of these risks are more obvious and palpable than others, of course. We’ve all done things that, statistically, kill more people than skydiving, and we do them like they’re nothing. Commuting, like we mentioned–but did you know that being outside in a lightning storm is riskier than skydiving, too? Even walking near cows and taking that tropical beach vacation are, numbers-wise, more effective at ending you than a tandem skydive. The take-away? While jumping out of an airplane in flight might seem like a ridiculously risky thing to do, it’s not as perilous as you probably imagine. When you feel your heart pounding and your adrenaline surging in the door of the airplane, you can be assured that it’s for your enjoyment only. It has no real scientific basis. Like most interesting questions, there’s another facet to the “Is skydiving safe?” question that you might find interesting. Here it is: Living a risk-free life is impossible. The attempt to live a completely safe life is invariably done at the expense of the experiences that enrich it. On the other hand: Taking measured, calculated, intelligent, life-affirming risks is the goal. Tandem skydiving fits that goal brilliantly. 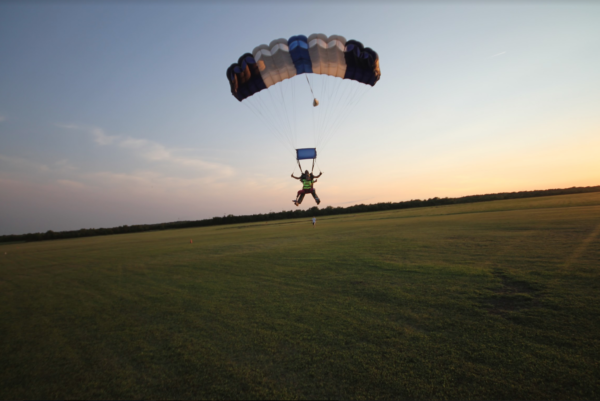 HOW DOES THE OKLAHOMA SKYDIVING CENTER SEE skydiving SAFETY? It’s at the top of our minds, all the time. Seriously, it is. 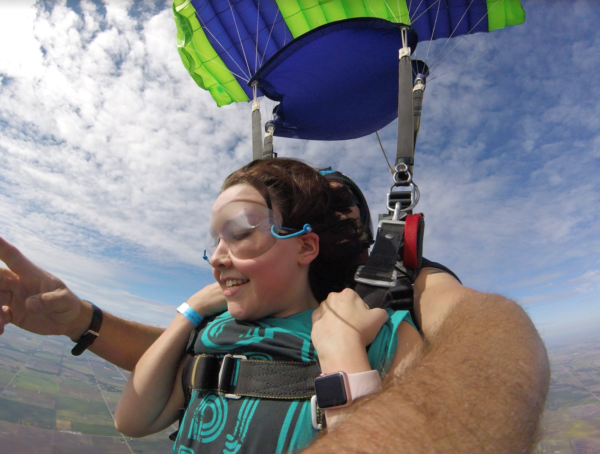 There’s a difference when you skydive at a truly family-owned and operated business. 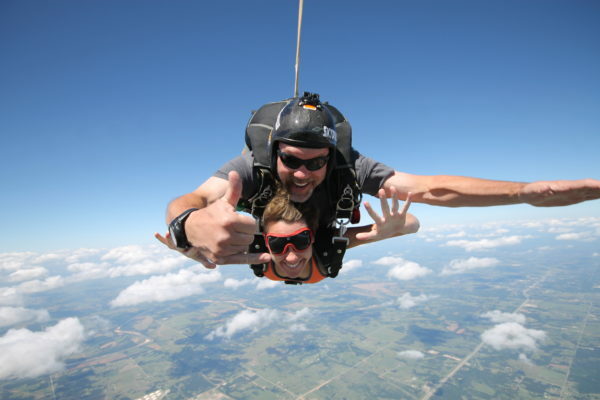 The Becks–Andy and Alyssa, our Oklahoma Skydiving owners–are truly passionate about the sport of skydiving, and deeply care about offering new skydivers a safe, fulfilling experience that they’ll joyfully remember whenever they look up. It’s a big job, but they love it. And they do it well. OK Skydiving goes to great lengths to maintain legendarily fantastic aircraft, meticulously upkeep all the equipment and employ only eminently qualified, caring instructors. If you have any questions about safety, ask! We’re all about transparency, and we delight in describing and demonstrating for our guests the safety procedures and guidelines that we follow. Don’t be shy!